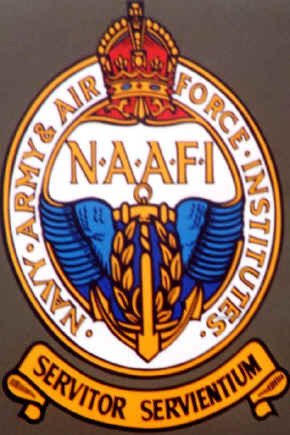 In 1921 the Expeditionary Force Canteens (EFC) and the Navy and Army Canteen Board (NACB) combined to form NAAFI. Created by the Government to run recreational establishments needed by the armed forces and to sell goods to servicemen and their families. In the first year of trading. NAAFI sold £8.3 million worth of products. Equating to £1.9 million in today's money terms. Just 7 years later in 1928. The NAAFI was trading and supporting service personnel in Bermuda, Ceylon, Germany, Gibraltar, Iraq, Jamaica, China, Malta and the Middle East. By 1938 NAAFI had extended it's services into Hong Kong, Shanghai, Egypt, Kenya, Palestine, Transjordan, Sudan, Singapore and Trinidad. 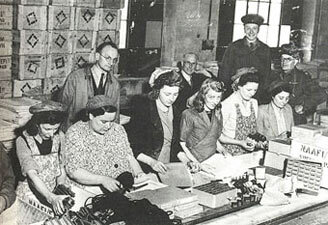 It's all hands to the pump as NAAFI employees rise from 8000 to a peak of 110,000 and trading establishments rise from 1,350 to nearly 10,000 including 8000 canteens on seagoing ships and 900 mobile canteens to support the war effort. 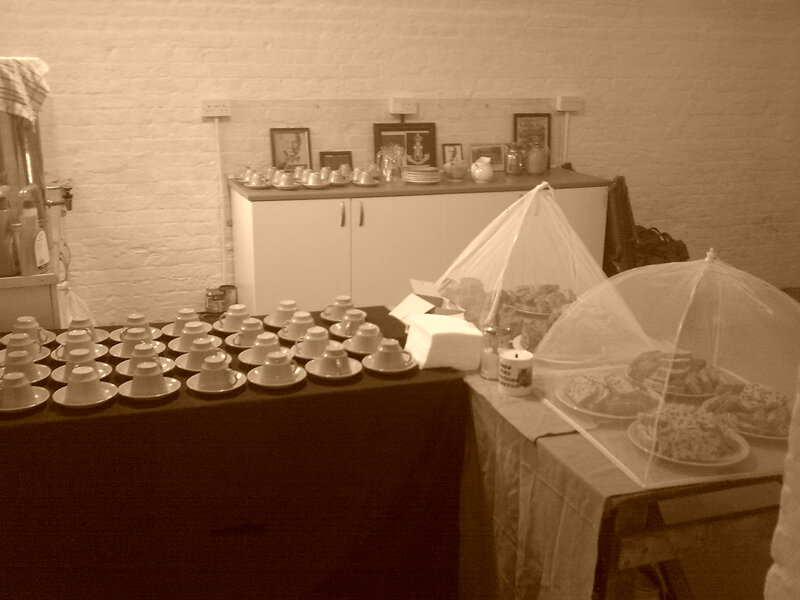 Sales of tea rocketed to 3.5 million cups per day and cigarettes a staggering 24 million per day. 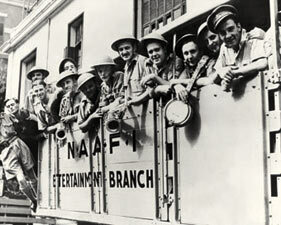 By 1942 NAAFI employed over 4000 artists to entertain the troops. 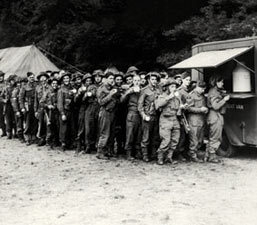 In 1944 NAAFI mobilized again and fed the half million troops that landed on the beaches in France during the course of a single week. NAAFI packs were issued to every soldier involved and included cigarettes, tobacco, matches, toothpaste, shaving soap, soap, razor blades, cubes of meat extract, cocoa, milk tablets, chewing gum, letter cards and pencils. Upon cessation of hostilities in 1945 NAAFI began to scale down it's operations. After selling an incredible 130 trillion cigarettes during the war; canteens began to close down at a rate of 200 per week. 110,000 staff quickly fell to 65,000 by 1947. In 1946 the first NAAFI built town club was opened by the 19 year old Heir to the Throne, Princess Elizabeth. It was the first in a building program that would see restaurants, lounges, bars, reading and writing rooms, music and television rooms, games rooms and ballrooms in every military and naval establishment worldwide. Today the NAAFI still actively supports and provides for service personnel and their families globally and to them all ... they are a welcome site!